Transformers fans generally love characters from the original movie, and Galvatron has had relatively few toys that look like that design. This one attempted to repaint the 2008 mold into something a little less "realistic," and in that capacity it succeeded. 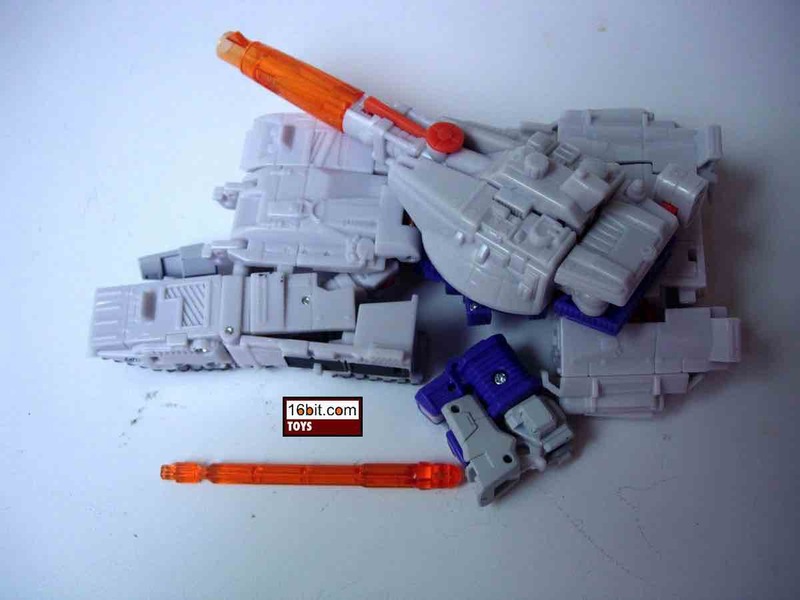 His grey and purple design look a lot more like Galvatron than the previous release, and the decision to drop all lettering from the tank make it feel more like an older Transformers toy. Aside from the sloppy face paint on my sample, I dare say this one unquestionably looks better in robot mode than the previous release. The trouble begins when you open it. To refer to this toy as merely frustrating is complimentary. Not only is it mistransformed in the box, but (again, on my sample) the panels don't fit into position. They just out a little, showing there are some minor clearance problems. A concern is with Transformers, "minor" clearance problems effectively ruin the toy. 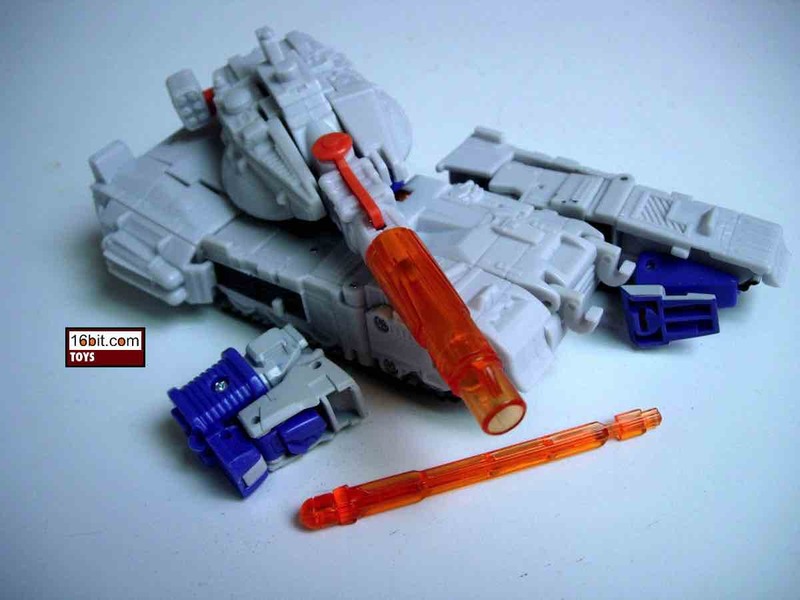 There are tabs and slots which do not fit in one another, and the non-cannon arm tends to be so loose it falls off as you try to transform the item. (in all fairness, the original had this problem to some extent too.) There are panels which, when completely unobstructed by other parts, simply will not sit flush against the adjacent piece. There's always a gap, it won't close, meaning the toy isn't just weak, but genuinely flawed. One nice thing-- the turret actually stays on this time around, whereas the 2008 edition did fall off quite easily during transformation. But other than that? This thing is a damned mess. 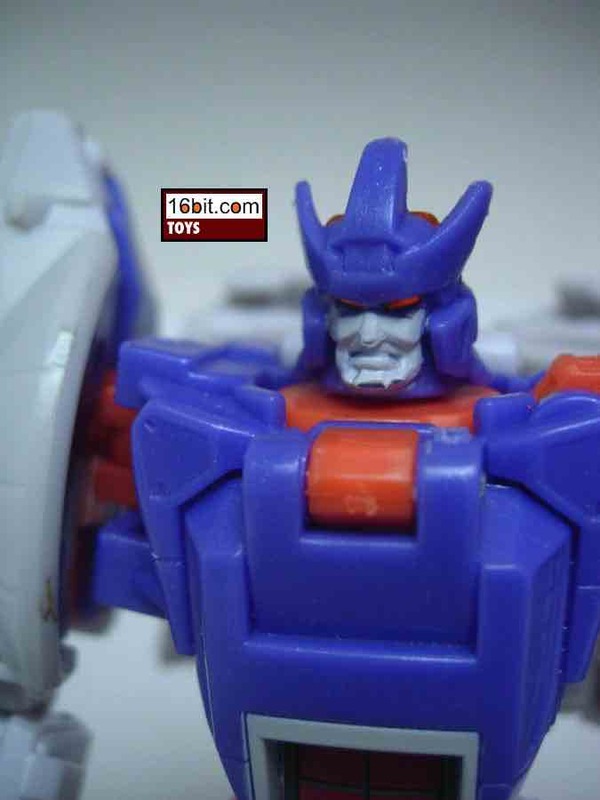 Buying this toy was my own fault because I'm a big fan of Galvatron and really wanted to show the world what I thought would be a repainted version of a toy which, in 2008, left something to be desired. I was wrong. If you take any advice from this toy site (or any), just don't buy one of these. 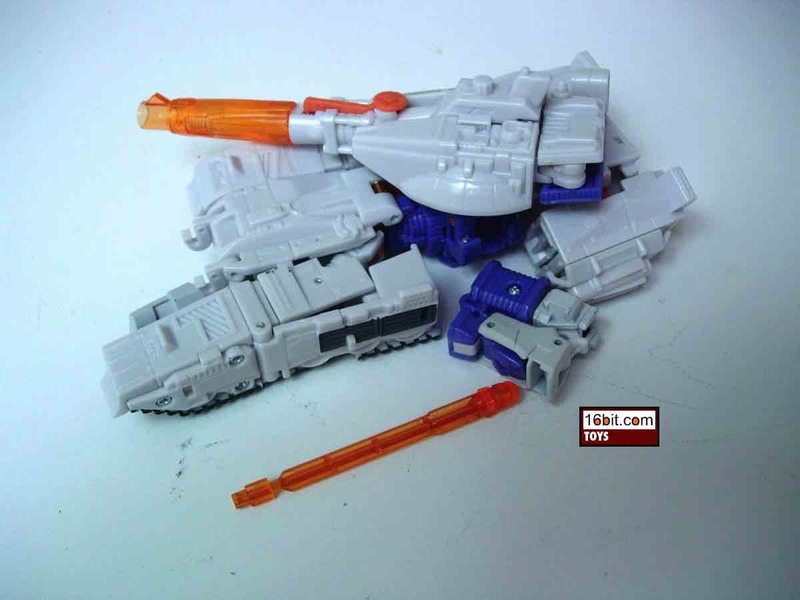 It's exclusives like this that act as reminders to just stick with the cheap stuff, because, generally speaking, they work out the quality control better on toys you find at retail. To your average collector, this item will be the "Challenge at Cybertron" exclusive set's selling point-- very similar versions of Cyclonus and Rodimus from this gift pack will be sold at US retail very soon. 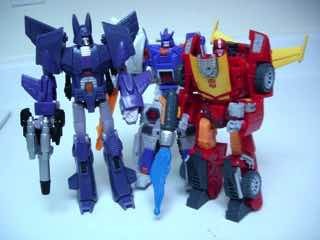 Galvatron is unique to this set, and while he should be a rare treat you'll probably wish he came with a letter of apology with a note confirming that Hasbro will try a new Galvatron toy before 2012 is up. 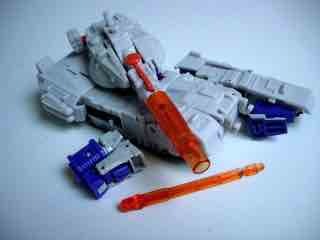 If you're debating displaying it in robot mode or smashing it with the hammer, get the hammer. 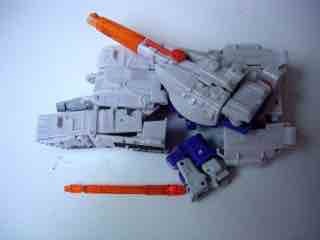 It looks good enough in robot mode and odds are it will stay in that mode until you pack it away when you move, never to be seen again. 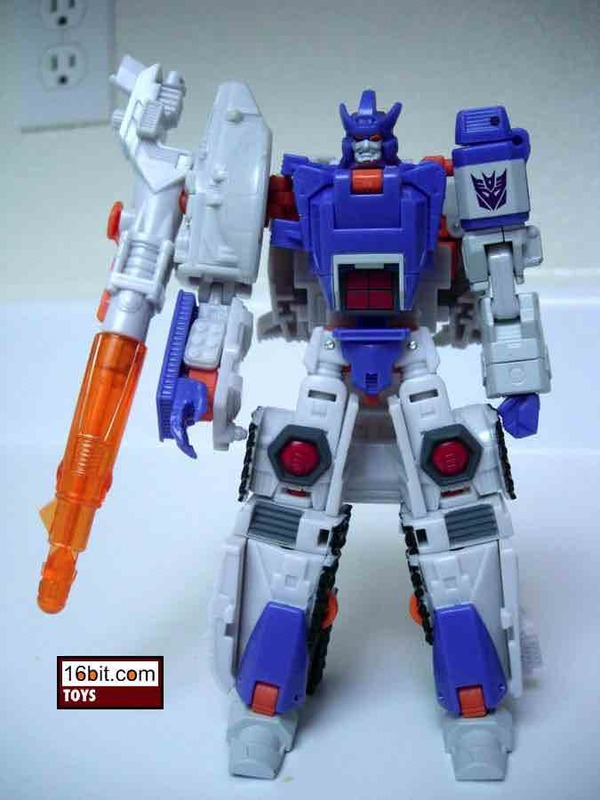 It's astonishing that this toy came out within months of the genuinely stellar Cyclonus figure. While I don't have most of the live-aciton Michael Bay/Dreamworks movie (2007, 2009) toys, I don't think I'm going out on a limb to call this one of the most unpleasant transforming toys to come out of Hasbro since... well, ever. The fact that it's a fun character makes it sting just a little bit worse. If for any reason you need a vial of children's tears for a magic spell to keep you eternally young, hand this to a youngster. They'll be crying in no time, and that's assuming they got it as a gift. Think how bad they would feel if they bought this set on the secondary market, where it typically runs upwards of $60 at press time.